Square-Enix brass from CEO Yoichi Wada on down have pointed to 2010’s troubled MMO Final Fantasy XIV as the root of its Japanese development problems. The company’s famous Japanese studios responsible for the Final Fantasy series and other role-playing games have barely pumped out any HD games for Xbox 360, PlayStation 3, or PC besides Final Fantasy XIII sequels because it’s required the full efforts of the staff to rehabilitate Final Fantasy XIV into a product that people will actually play and make the company some money in the process. Final Fantasy XIV: A Realm Reborn may share a name with that 2010 bomb, but it’s very much its own beast and now the game is coming to the public. 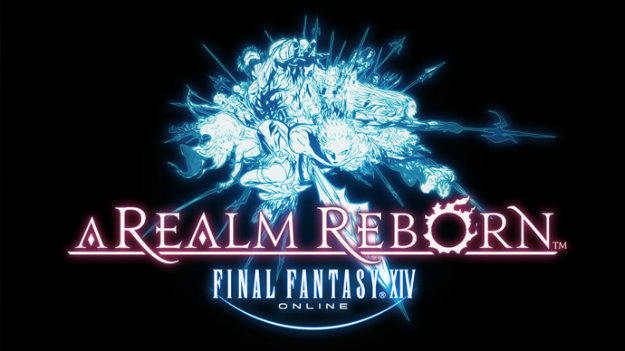 Square-Enix released a broad roadmap of the extensive public beta testing for A Realm Reborn in time for Christmas this week, alerting fans that are eligible to participate that they will finally be able to play the new MMO in February. The beta testing will be lengthy and well ordered based on Square’s plans, a measure that hopes to avoid an opening similarly catastrophic to what befell the company when Final Fantasy XIV first launched two years ago. As outlined, the beta test will be conducted in four phases before the game opens officially to the public. Phase 1 will only include people playing the Windows PC edition of the game and will focus purely on balancing issues, looking to make sure that the game’s revamped mechanics work smoothly, though naturally balancing will be ongoing as with all MMORPGs. Phase 2 will then focus on controls with the goal of optimizing Final Fantasy XIV for a traditional 18-button video game controller rather than a mouse and keyboard. This naturally leads into Phase 3 which will begin testing the PlayStation 3 version alongside the PC edition. Phase 3 will also test how the game imports characters from the original Final Fantasy XIV. Phase 4 will be fully public beta testing open to all with a full launch of the game to follow. The early phases will place a number of restrictions on play, capping the level to 35 and only making between 10 and 15 worlds (i.e. different servers) available, expanding as the beta phases move forward. If you’re interested in participating in the Final Fantasy XIV beta before Phase 4, Final Fantasy XI players, also called Legacy Holders, and Final Fantasy XIV Service Account Holders can participate. You can also apply via a website that will open in January. It’s impressive how Square-Enix is playing it slow and steady with the development and release of A Realm Reborn, but as The Secret World and Star Wars: The Old Republic have proven in 2012, it’s difficult for a major MMO to make an impact on the market these days. Will Square’s effort result in success or will this game be the straw that breaks the camel’s—or the Japanese development staff in this case—back.